A logic model for Adaptation Performance Tracking. The blue rectangle includes items (Inputs, Activities, and Outputs) directly managed in most programs or agencies. The red rectangle includes the results that flow from programmatic or agency activities over time and are managed less directly. 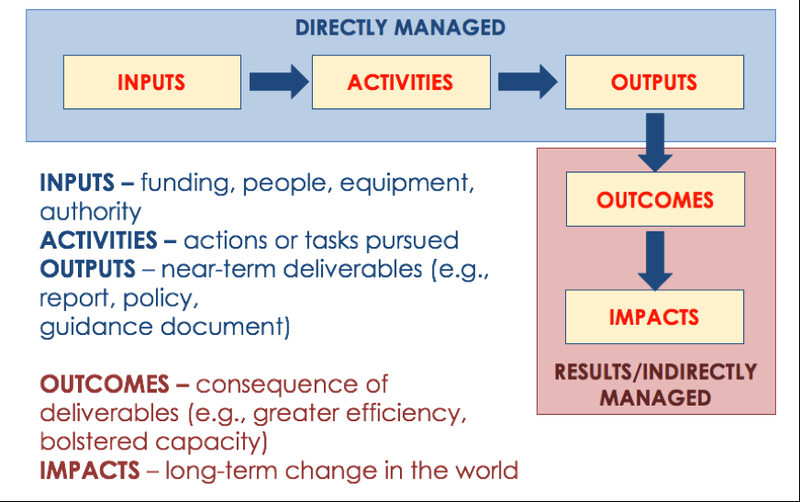 This model could be used by program managers or agency leaders to measure adaptation performance and identify needs or gaps. Read the project summary report here. 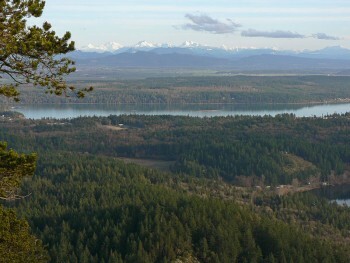 Of the 200+ adaptation actions identified in the Washington Integrated Climate Response Strategy (2012), online documents provide evidence of progress for nearly two-thirds (65%) of the actions. The adaptation actions being pursued are mostly related to coordination (33%), policy/administrative activities, (22%), research (22%), and education (17%). Only a small fraction (6%) of activities were classified as risk reduction actions (e.g., investments in new infrastructure, alteration in natural resource management practices). Barriers to adaptation include: limited financial or human resources, inadequate institutional support, inadequate information and expertise, contrary public beliefs, and lack of collaboration. 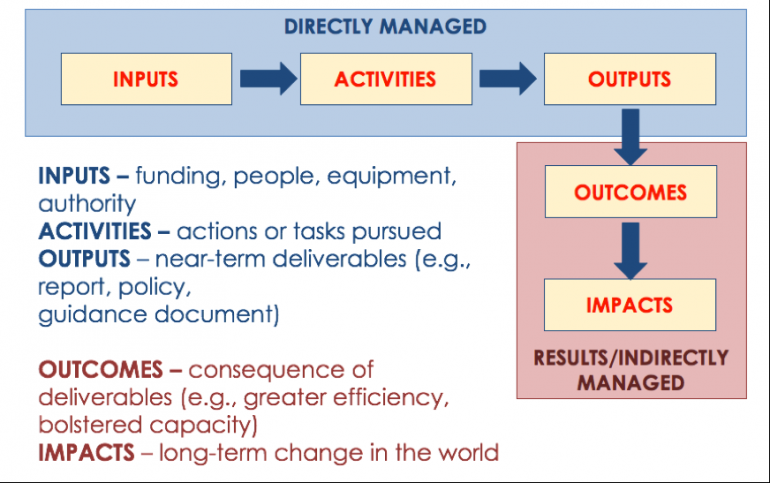 A logic model focused on Inputs, Activities, Outputs, Outcomes, and Impacts may provide a template for program managers and agency leaders as they attempt to monitor progress in achieving adaptation goals.